english news 英语新闻-What's it really like to raise a panda? Among jobs in the world most envied by others, panda attendants may be near the top of the list. 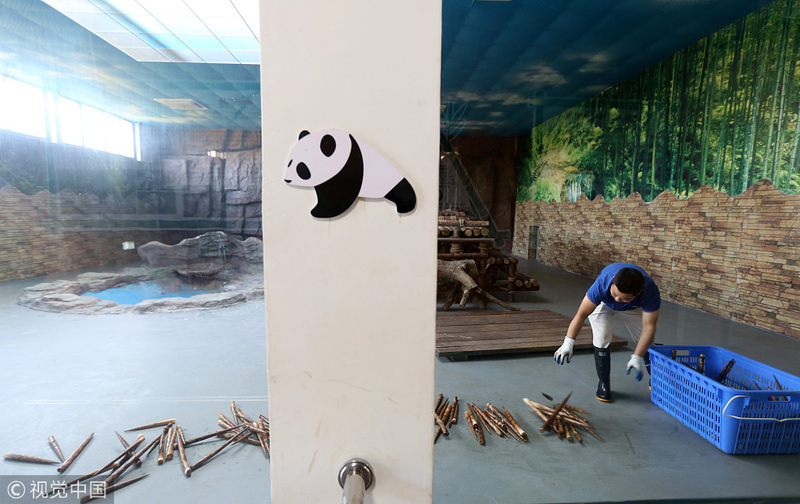 Two pandas, by the name of Zhenda (meaning precious and big in English) and Shuang'er (meaning pair in English), at a zoo in Dongguan, South China's Guangdong province, have three professionals taking care of them day in and day out. 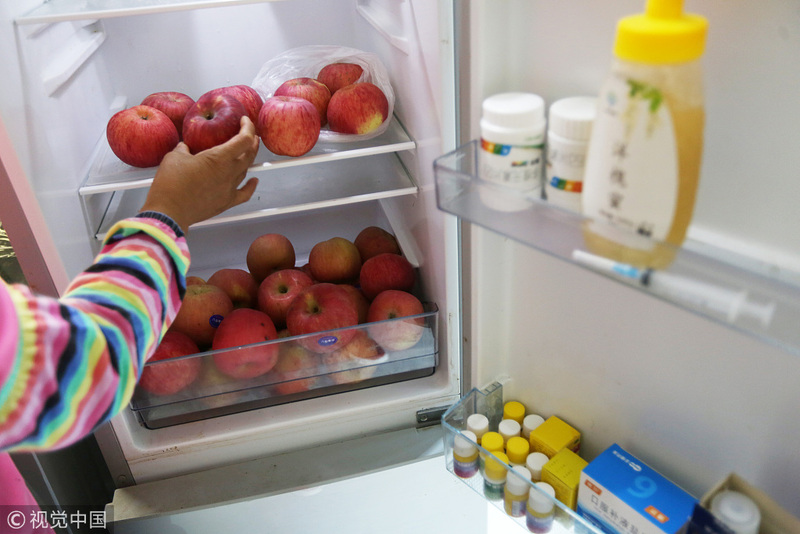 Fifty-year-old Shi Hanrong arrives at the panda house at 7 am every day to sterilize the entrances and exits of all rooms and prepare nutritious steamed corn buns for the pair. 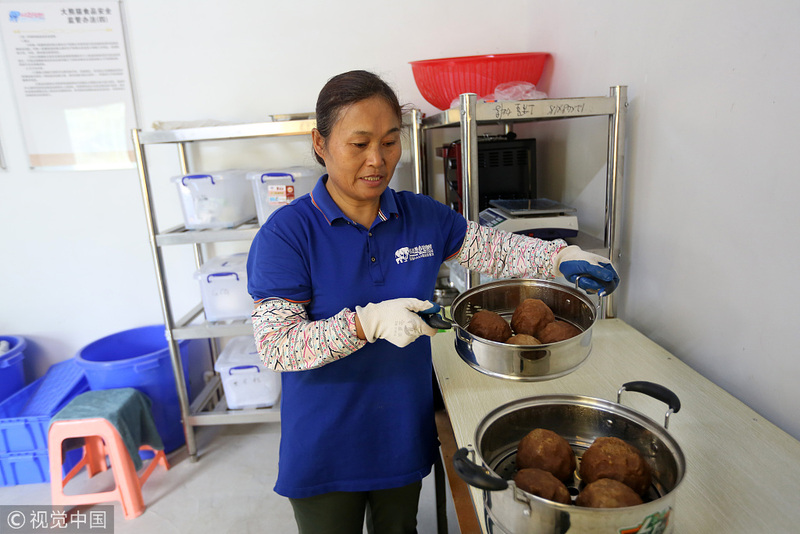 Liu Qiao and Zhu Mingsheng, the other two breeders, wash four baskets of bamboo shoots weighing roughly 100 kilograms to serve as staple food for the day, with fruits and other supplements as side dishes. 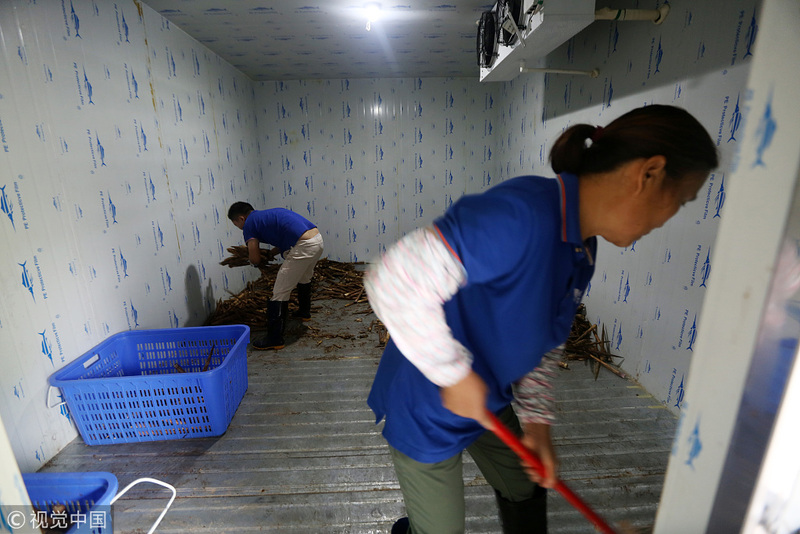 Fresh bamboo shoots are airlifted every two days to the zoo from the panda breeding base in Chengdu, Southwest China's Sichuan province. 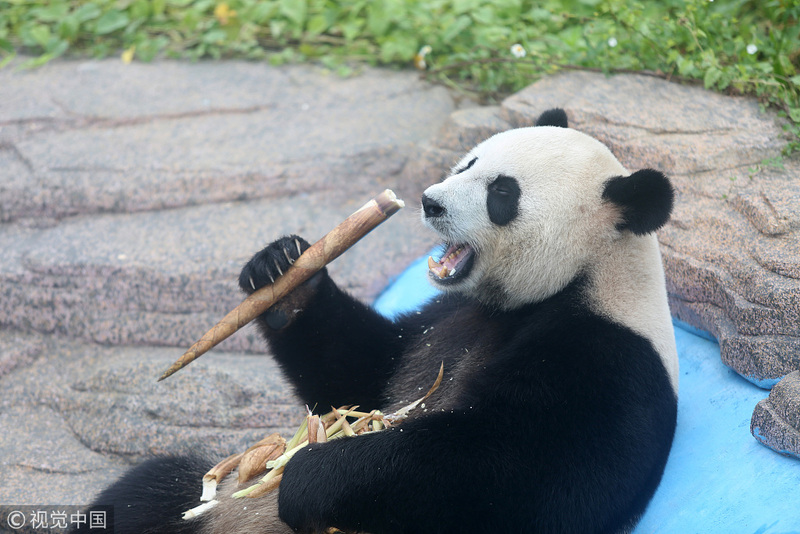 It's not an easy job to take care of pandas, Liu said. 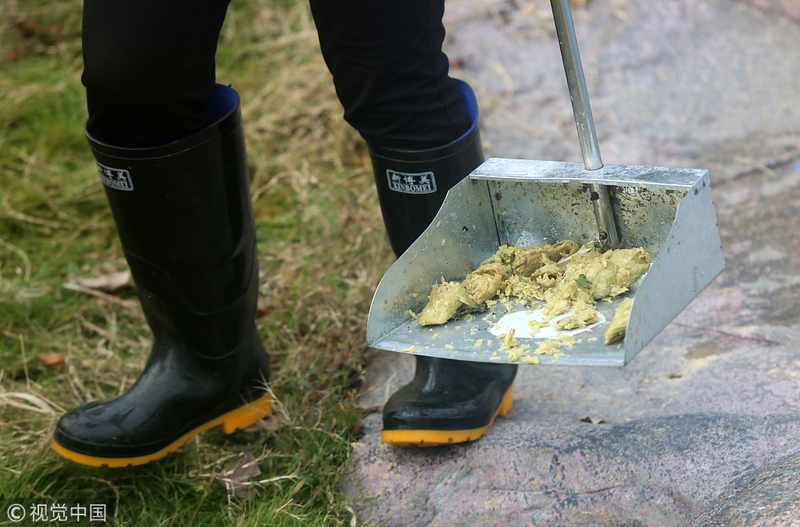 A responsible and meticulous nature, as well as experience raising animals and additional special training for panda breeding are basic requirements. 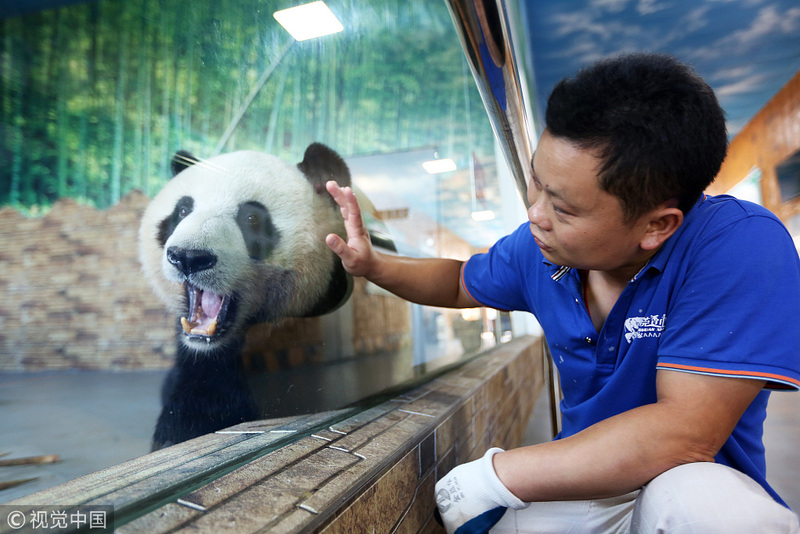 For example, Shi Hanrong used to raise monkeys and giraffes, and spent a month at the panda breeding base in Chengdu for professional training.